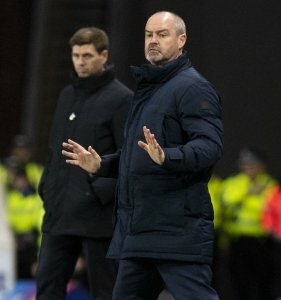 Kilmarnock boss Steve Clarke hit out at sectarian abuse from Rangers’ fans and “joke” refereeing as his side were thumped in a controversial replay that keeps his opposite number on course to pick up his first managerial silverware. 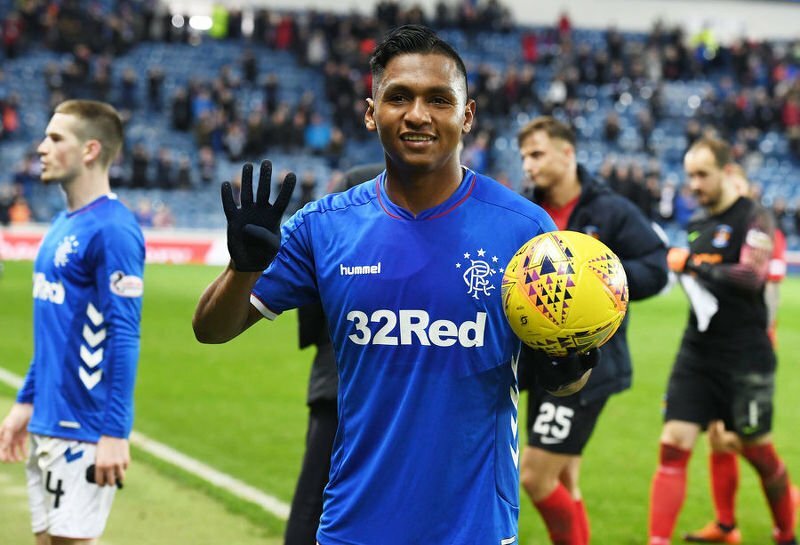 Alfredo Morelos was the toast of Govan as he smashed four goals on his return from suspension, netting two in either half. The big talking point in the first half came when Killie keeper Daniel Bachmann was sent off by Alan Muir in the 25th minute with the score at 1-0. He was deemed to have caught Glen Kamara with an elbow as he prepared to face a corner, with Clarke furious at the decision which had a major impact on the match. Clarke’s mood wasn’t helped by the fact Kilmarnock looked to have a decent shout for a penalty with the match goalless, Eamonn Brophy appearing to be fouled by Joe Worrall in the area. “If the penalty had been given in the first two minutes it would have been different,” said Clarke. “The officials decided the game. It’s embarrassing. The goalie just lifted his arms. Every goalie does it every week. It’s embarrassing. I’m talking in general. Bad decisions. All we talk about is our refs. “How can I talk about football tonight? It doesn’t matter when it comes – a penalty is a penalty. Thirty seconds in or 30 seconds into injury time – it’s a pen so just give it. Commenting on what he said were sectarian chants aimed at him during the match, the former Chelsea defender and coach said: “It’s lovely being back in the west of Scotland, really nice. “When I was approached by Rangers about taking over the job here I was assured that ‘we don’t have that in the west of Scotland any more. It’s gone’. “I wake up every morning and thank Chelsea for coming and taking me away from the west of Scotland because my children don’t understand this. Gerrard, meanwhile, was delighted by the display from his team. “I was pretty confident we were going to get a reaction tonight as the players were frustrated about the weekend’s showing,” said Steven Gerrard, who saw Andy Halliday net the game’s other goal. The win sets up a mouth-watering quarter-final showdown with Aberdeen at Pittodrie next month. The Gers joined Inverness Caledonian Thistle in the last eight, John Robertson’s side having beaten Ross County in a penalty shoot-out in their fifth-round replay 24 hours earlier. They now face Dundee United at Tannadice. REVISED SCOTTISH CUP QUARTER-FINAL DRAW: Aberdeen v Rangers, Partick Thistle v Hearts, Hibs v Celtic, Dundee United v Inverness CT.
Ties to be played over the weekend 2/3/4 March. Celtic are in Valencia tonight for the return leg of their Europa League round of 16 tie needing to produce one of their best-ever results to turn the match around. 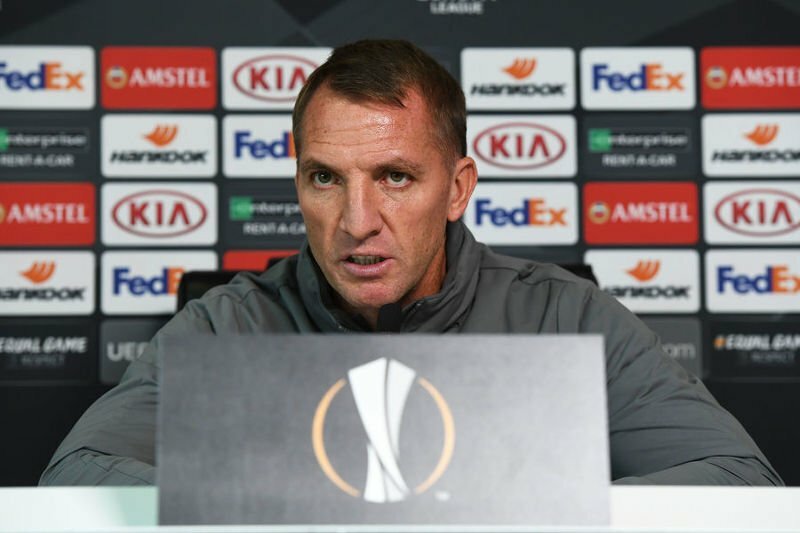 Brendan Rodgers’ side are 2-0 down after the first leg at Parkhead last week and go into the match at the Mestalla having never won a competitive game in Spain. “We know it’s a challenge but it’s one that, if I look at the game and ask myself, ‘do we have a chance?’ Of course we have,” said the manager. “And when you have a chance, you have to put every effort and energy into taking that chance, even though it’s difficult. “The Valencia coach is a fantastic coach, has them very well-organised. They play very compact, probably unlike a Spanish team where they’re happier to play off your mistakes rather than with the ball and are very fast on the counter-attack.